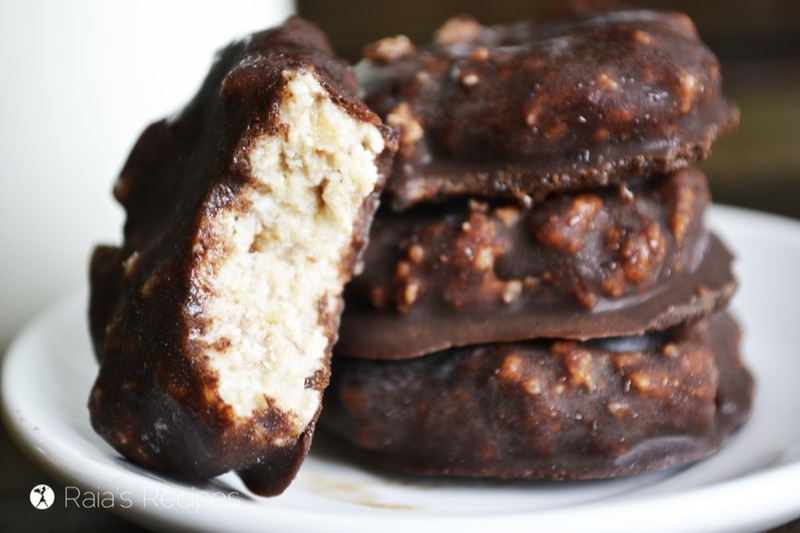 Dates are full of nutrients essential to our bodies, and my favorite way to take advantage of their health benefits is by indulging in these delicious little German Chocolate Freezer Cookies. They’re easy to make, and so delicious even non-date-fans will love them! When a friend handed me two bags of dates she wasn’t using and asked if I wanted them, of course I said yes. I didn’t bother letting her know that I have never liked dates. Sure, they’re sweet and everything, but the texture is a little iffy to me and biting into something that looks like… well, let’s just say I’m not a fan. But regardless of my feelings toward dates, I sat back and pondered what to do with them. I hate wasting food, so I knew I had to figure something out. Thankfully, there are a ton of options out there in the paleo realm. After perusing the web for a while, I had a few ideas and got to work. The end result (though I admit I was a little nervous) was delicious! In case you didn’t know (like I didn’t), dates are one crazy super-food. Not only are they full of vitamins and minerals, they’ve been used through the centuries for their health benefits, the most popular being fighting off abdominal cancer. Now, we’d need a whole other post just to go over the amazing benefits dates provide the body, let alone all the nutrients they supply, so we’ll suffice it to say that even if you don’t like dates, you should be eating them. And these tasty little treats are the perfect way to sneak them into your diet. Place all ingredients in blender and pulse until you reach a smooth-slightly-chunky texture. Flatten tablespoonfuls of dough onto cookie sheet with the back of a spoon until about ½ inch thick. Place in the freezer while preparing the coating. Melt coconut oil over low heat. 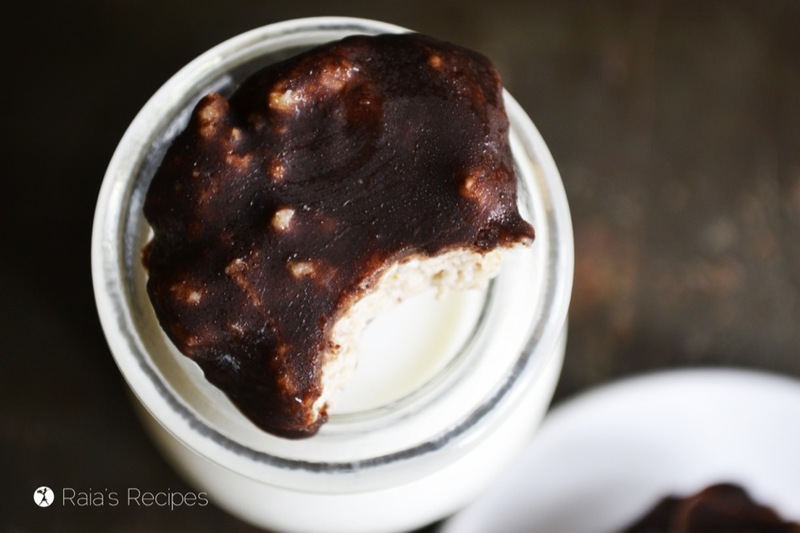 Dip/drizzle over frozen cookie dough until completely covered. Place back in the freezer until coating is hardened. Just saw this recipe and your question….hope you still check this site and recipe. Applesauce, Greek yogurt or coconut oil are perfect substitutions to mashed banana in recipes. Enjoy! These look great! Glad to have found your blog. I also blog about healthy and allergy friendly food as my son has multiple food allergies. Looking forward to diving into more of your allergy friendly recipes! I always need new ideas for our family. hey!! Would love to try this tomorrow.. But I just ran out of coconut oil.. I have butter? Will that work instead? 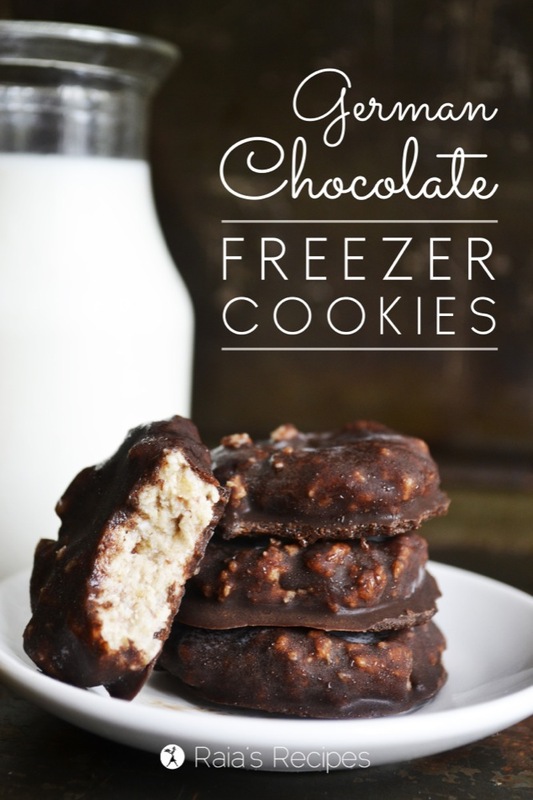 I made them yesterday and … OH MY GOSH, they are so good! I had no honey at home so I used agave syrup for the amazing chocolate coating. The perfect summer treat, packed with nutrients and toddler approved. Love it! Are these stored in the freezer until eaten? Hi Kathleen – the fridge or freezer would be fine! You just don’t want them to be stored at room temp or they will get mushy! What type of dates did you use? I tried medjool dates and the cookies stayed mushy. Should I try diglets? These look really good! I’m a diabetic and dates spike my sugar levels. I love them, but I get a real sugar “high” from them. Still, healthier than refined sugar and flour, right? !